Following is the list of some upcoming kdramas that will be releasing in Jan 2019. I will be writing first Impression posts and hopefully continue watching all the following five kdramas. 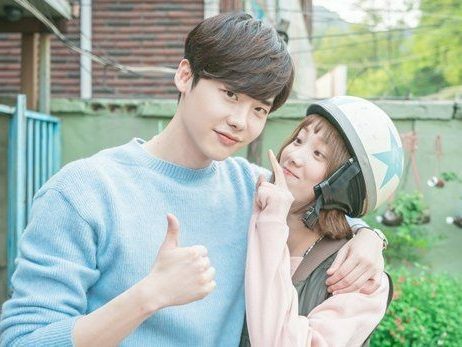 Edit- Here’s the first impressions and reviews of new kdramas that I decided to watch. Yeo Jin-Goo – Clown Ha Sun / King Lee Hun. Lee Se-Young – Queen Yoo So-Woon. A man (Park Sun-Ho) works for a big company. His dream is to run a chicken restaurant. A woman (Kim So-Hye) wants to become a webtoon writer. She lives at a bathhouse which her late grandfather left behind. She secludes herself from society. These two individuals meet and grow with each other. Also Known As: Romance Is a Supplement , Romance Supplement , How To Publish Love? Airs: Jan 26, 2019 – ? These are the other kdramas releasing in this month. I am not interested in them as of now. I will be adding more drama titles as I discover them. I will also add teasers, trailers and where to watch (official) links as it is available. Keep checking out this post or bookmark as per your wish. For now this is all I know. Let me know in the comments if you are watching any of this dramas or if your drama is not mentioned here. Thanks for sharing! I see we’re kicking off the year with a couple of historical dramas. I wonder if we’ll see more of them this year compared to 2018. I will probably check out Romance is a Bonus Book. Not only am I a huge bookworm, but I LOVE Lee Jong Suk, so I know I have to give this a try. Best Chicken sounds interesting, too. Touch Your Heart sounds intriguing too. I like Yoo In Na’s work, so it might work its way onto my list. So many dramas to look forward to, I hope they will take me out my drama slump. Looking forward to ‘The clowned crown’. Still working on the layout, it’s difficult to set it up using mobile.